A few months ago, physicist Harold White stunned the aeronautics world when he announced that he and his team at NASA had begun work on the development of a faster-than-light warp drive. 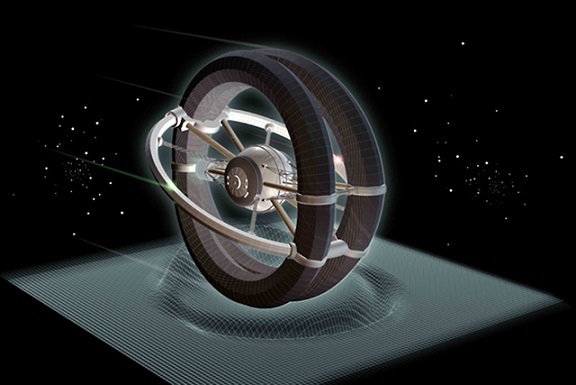 His proposed design, an ingenious re-imagining of an Alcubierre Drive, may eventually result in an engine that can transport a spacecraft to the nearest star in a matter of weeks — and all without violating Einstein’s law of relativity. We contacted White at NASA and asked him to explain how this real life warp drive could actually work. The idea came to White while he was considering a rather remarkable equation formulated by physicist Miguel Alcubierre. 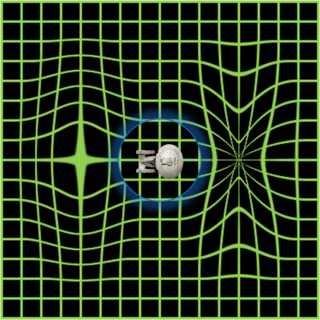 In his 1994 paper titled, “The Warp Drive: Hyper-Fast Travel Within General Relativity,” Alcubierre suggested a mechanism by which space-time could be “warped” both in front of and behind a spacecraft. Michio Kaku dubbed Alcubierre’s notion a “passport to the universe.” It takes advantage of a quirk in the cosmological code that allows for the expansion and contraction of space-time, and could allow for hyper-fast travel between interstellar destinations. Essentially, the empty space behind a starship would be made to expand rapidly, pushing the craft in a forward direction — passengers would perceive it as movement despite the complete lack of acceleration. In terms of the engine’s mechanics, a spheroid object would be placed between two regions of space-time (one expanding and one contracting). A “warp bubble” would then be generated that moves space-time around the object, effectively repositioning it — the end result being faster-than-light travel without the spheroid (or spacecraft) having to move with respect to its local frame of reference. 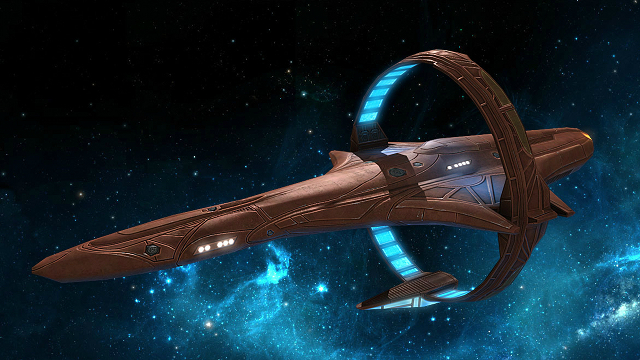 “However,” said White, “based on the analysis I did the last 18 months, there may be hope.” The key, says White, may be in altering the geometry of the warp drive itself. In October of last year, White was preparing for a talk he was to give for the kickoff to the 100 Year Starship project in Orlando, Florida. As he was pulling together his overview on space warp, he performed a sensitivity analysis for the field equations, more out of curiosity than anything else. “My early results suggested I had discovered something that was in the math all along,” he recalled. 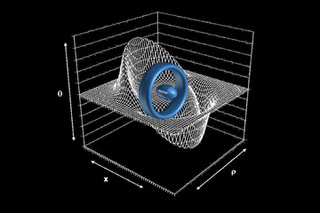 “I suddenly realized that if you made the thickness of the negative vacuum energy ring larger — like shifting from a belt shape to a donut shape — and oscillate the warp bubble, you can greatly reduce the energy required — perhaps making the idea plausible.” White had adjusted the shape of Alcubierre’s ring which surrounded the spheroid from something that was a flat halo to something that was thicker and curvier. He presented the results of his Alcubierre Drive rethink a year later at the 100 Year Starship conference in Atlanta where he highlighted his new optimization approaches — a new design that could significantly reduce the amount of exotic matter required. And in fact, White says that the warp drive could be powered by a mass that’s even less than that of the Voyager 1 spacecraft. That’s a significant change in calculations to say the least. The reduction in mass from a Jupiter-sized planet to an object that weighs a mere 1,600 pounds has completely reset White’s sense of plausibility — and NASA’s. Theoretical plausibility is all fine and well, of course. What White needs now is a real-world proof-of-concept. So he’s hit the lab and begun work on actual experiments. “We’re utilizing a modified Michelson-Morley interferometer — that allows us to measure microscopic perturbations in space time,” he said. “In our case, we’re attempting to make one of the legs of the interferometer appear to be a different length when we energize our test devices.” White and his colleagues are trying to simulate the tweaked Alcubierre drive in miniature by using lasers to perturb space-time by one part in 10 million. Of course, the interferometer isn’t something that NASA would bolt onto a spaceship. Rather, it’s part of a larger scientific pursuit. And it’s through these experiments, hopes White, that NASA can go from the theoretical to the practical. For more information on the matter, you can visit NASA’s website. Top image: CBS Studios Inc. Spearpoint, zamandayolculuk.com, Harold White, Flickriver.